Being a travel writer, you'll often find me travelling to some of the most beautiful destinations in Australia and around the world. There is so much to consider and plan before embarking on these trips, and one of the most important aspect is my safety. I buy travel insurance, I research and adopt local dress codes, I secure my passport, cards and money, I carry my bag across my body and in front of me, I make sure I am carry enough local cash on me but not too much, I send my family my itinerary, I ensure I have a fully functioning mobile phone - and the list goes on. Sadly after one of my trips a few weeks ago, I lost my suitcase security strap. You know those colourful straps you see fastened around a suitcase so you can tell if the bag if yours when it comes around on the Baggage Claim carousel? That's the one I am talking about. I was looking for a new one recently when came across a Travel Security ID Kit from Kathmandu. I only needed the luggage strap however I had also misplaced my security lock as well. 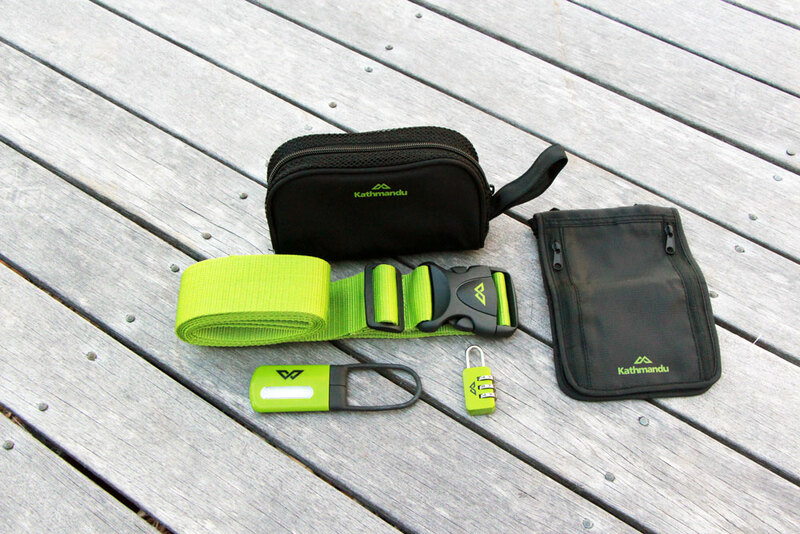 The Kit comes with a coloured luggage strap, a luggage tag, combination lock, a money neck pouch and a little carry bag. I was immediately sold! I loved the colour palette of green and black as it didn't scream 'HEY I'M A GIRL!' And I loved that the Kit came packed neatly in a little carry bag, which means I can keep everything together after each trip. Win win.